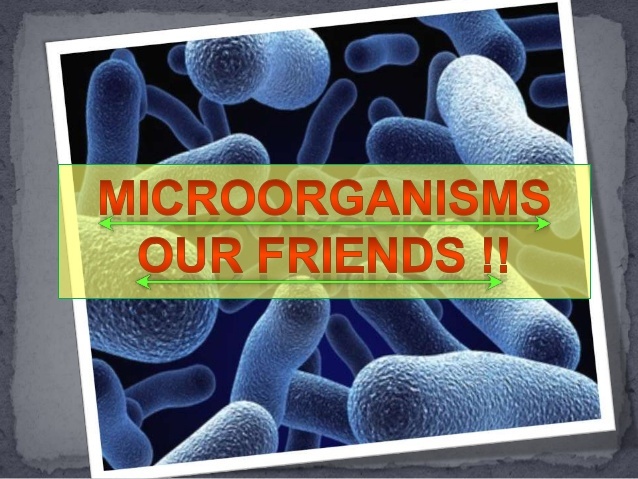 Fun microbe fact: the average healthy adult has 10 times as many microbial cells as human cells. So what good things are these microbes doing for us? Here, some highlights. 1. Microbes play defense. The oodles of microbes that live on and inside us protect us from pathogens simply by taking up space. By occupying spots where nasties could get access to and thrive, good microbes keep us healthy. 2. Microbes boost the immune system. Researchers at Loyola University demonstrated in a 2010 study how Bacillus, a rod-shaped bacteria found in the digestive tract, bind to immune system cells and stimulate them to divide and reproduce. The research suggests that, years down the road, those with weakened immune systems could be treated by introducing these bacterial spores into the system. These microbes could potentially even help the body fight cancerous tumors. 3. Microbes protect us from auto-immune diseases. Because microbes help train the immune system, if the microbiome is thrown out of whack, it can alter the body’s ability to differentiate between itself and foreign invaders. Recent research into Type 1 Diabetes reveals that a disturbance in the microbial community could trigger the disease, in which the body kills cells that produce insulin. In a 2009 study, researchers at Cornell University showed that introducing a benign strain of E. coli into diabetic mice set off a domino effect that led them to produce insulin. The work suggests that, someday, microbial yogurt could replace insulin shots for people with the disease. Microbial disturbances could be at the root of other auto-immune disorders too. 4. Microbes keep us slim. Microbes play an important role in our body shape by helping us digest and ferment foods, as well as by producing chemicals that shape our metabolic rates. 5. Microbes detoxify and may even fight off stress. Just as humans breath in oxygen and release carbon dioxide, microbes in and on us take in toxins and spare us their dangerous effects. A recent study also shows that people feeling intense stress have much less diverse bacterial communities in the gut, suggesting that there is a not-yet-understood interplay between microbes and stress responses. 6. Microbes keep babies healthy. Recent studies have shown that babies born via caesarean section have very different microbiomes than those born the old-fashioned way. Why? Because during the birthing process, babies are colonized with the microbes of their mother, especially substances that aid in the digestion of milk. According to Science News, babies born via C-section are more likely to develop allergies and asthma than children born vaginally.